MANILA (Mindanao Examiner / Nov. 6, 2011) - A Filipino lawmaker expressed alarm on news reports that the US Central Intelligence Agency is tracking Facebook and Twitter accounts of private individuals all over the work. Congressman Neri Colmenares, who is a human rights lawyer, said the CIA is also using their embassies for the operations. “While the US government may insist in the legality of their monitoring of twitter accounts due to their public nature, the monitoring is a very dangerous preoccupation and a threat to constitutional rights not only because it crosses into the unconstitutional when it enters into closed social network sites or hacks emails but also because it leads to profiling which is unconstitutional especially if it serves as a prelude to illegal entry into private domains,” he said in a statement sent to the Mindanao Examiner. “While people generally join Facebook with the wish to relate to people who consider them friends, CIA monitoring is undertaken by people who consider them enemies. When authorities pretend to be ‘friends’ in Facebook but with the not so friendly intention of monitoring their activities and profiling the innocent victim, this is definitely subject to a constitutional challenge because it leads to discrimination. This could even be challenged for violation of the right to be safe from unreasonable searches and seizure without probable cause,” he added. Colmenares said the admission that even US embassies in foreign countries are engaging in the same makes it more unacceptable considering that embassies are given diplomatic immunities because they are deemed to engage in diplomatic functions. “Any intelligence function by an embassy is therefore anathema to its task and the US embassy here must inform the Aquino government whether it engages in the same kind of monitoring. The Aquino government must also demand that the US embassy in Manila inform us what the guidelines and parameters of its monitoring activities are, whether it was done through the internet or through innocuous dinner talk,” he said. Reports that In-Q-Tel, of the CIA, has invested into Visible Technologies, a software company that crawls across blogs, online forums, and open networks like Twitter and YouTube to monitor what is being said. Police also used such data so that they can enter the home of an organizer who tweeted to protesters in the G-20 summit in Pittsburg. “Just the general profiling of people as friend or enemy on the basis of their tweets and email are definitely dangerous and must be stopped,” Colmenares said. 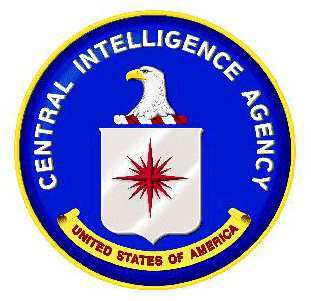 The CIA is a civilian intelligence agency of the US government. It is an executive agency and reports directly to the Director of National Intelligence, and responsible for providing national security intelligence assessment to senior US policymakers through means of non hostile psychological, cyber, and social warfare using non-military commissioned civilians to carry out these intel gathering operations, and also engages in covert activities.